Well, after two back to back business posts (here and here if you missed them) and much chit-chat, we definitely need to go back to some hard-core decorating. And, I think I need something relatively easy and definitely fun. Therefore, today, I’m going to tackle one of my favorite giants in decorating and do a high-low Ralph Lauren. 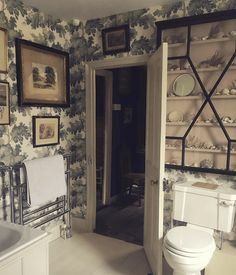 I was so excited too, because I chose this room that many of you have seen and like me, are drooling over…………..
And, so, of course, I went out to find that show-stopper wallpaper. I found it pretty quickly. Hehehe, This High-Low Ralph Lauren is going to be a cake walk! First of all, it’s not wallpaper, it’s actually fabric. But, that’s not a problem, because we can send it out to get backed with paper (Custom Laminations does that) and then it can be hung on the wall. However I only found these four colorways at Decorator’s Best. Why aren’t they carrying that stunning dark green? That’s crazy-time! They have the day glow acid green, a raspberry, and a too bright indigo. Ralph? Is you okay? The lighter blue, is okay, but none of these have the sophistication of that deep green, IMO. And, the dark green is the one that EVERYONE is kvelling for like mad! You know. Plotzing? Fine. Hyperventilating. That paper or fabric, rather, is to die for. I put the image into google images, because I’m sure that it’s just lame Decorator’s Best who decided not to carry it. Well, apparently, I was having a severe case of DECORATOR DENIAL. Phew, finally, I found it— hooray! Except I started tripping a little; probably because I hadn’t had a decent breath of air in several minutes. I could’ve sworn that I saw the three most dreaded words in all of decorating. DISCONTINUED – NO STOCK. But, of course, that’s not possible. As my eyes began to focus away from the definitely not Ralph Lauren approved psychedelic combination of hot pink, orange-ish, robin’s egg blue and apple green, on this tacky page, I shook my head in disbelief! Please, in a world already gone mad, this can’t be true. Half of the western world has filled every river, lake and stream with their saliva over this green wallpaper, fabric, whatever. In fact, Ralph Lauren, should discontinue EVERYTHING else and only make this one slice of sheer perfection. But instead, they DISCONTINUED IT??? That doesn’t compute. Oh, it’s not the first time this has happened. But this one might take the top prize. But, Laurel??? Stop yammering for a second. Isn’t this supposed to be High-LOW Ralph Lauren? Weren’t you going to have to find a substitute for this wallpaper anyway? You guys are so freaking smart. I love you! Well, in this case, I was thinking it will not be too bad because I thought that it WAS wallpaper. Thus, began the quest for the world’s most perfect wallpaper that for some bizarre reason no longer exists. The first Chinoiserie paper I thought of with a deep green background is this one I saw 4.5 years ago when I was at the High Point market for the first Design Bloggers Tour. Actually, it’s not bad. This paper is from Fromental’s printed collection. You can see more here. I don’t know how much it is, but it’s a lot less than the hand-painted stuff. Like the other papers everyone loves by Gracie which Mark D. Sikes uses all of the time and are also hand-painted. Remember the Giannetti’s TV cabinet? And, then I remembered another green Gracie paper. Mark’s sensational bedroom with green and white (mostly) Gracie wallpaper that he did for last year’s Kips Bay Showhouse in New York City. Actually, it looks a little darker here than in most photos. And, I love this paper here. But, it’s not that deep saturated green like in the Ralph Lauren original Room. Another amazing photo found @younghuh – via instagram – Taken at the Ralph Lauren Home Showroom in High Point. If you read the comments on Younghuh’s instagram linked to above, you’ll SEE just how much people are dying over that discontinued wallpaper/fabric. I still can’t believe they discontinued it! Above is another image from the showroom at High Point taken by Monica from Monica Wants It. Could it be that this is the same pattern, but that this was hand-painted by an artist for their showroom? And, in a larger scale? I’d say almost definitely. The vertical repeat on the fabric is about four feet and we’re looking at more than that. Well, now I feel a little better. And, I’m thinking of Maura Endres’ dining room with her stunning hand-painted mural. And maybe the answer is a hand-painted wall. But, that requires a lot of effort, TIME and some talent. Oh, and patience. That is, unless you can afford to hire an artist to do it. But, then it won’t be High-Low Ralph Lauren. It’ll just be high. Short of that. There are companies that will make custom wallpaper and or murals, out there. You can google that if you like. Now, I don’t know anything about any of them or if it’s anything you’d want to put on your wall. If you do ANYTHING custom, you must always get a sample. We call it a “strike off” in the business, if you don’t already know that. I didn’t say the following, but you could get a roll of one of the other colorways. Shhhh… I didn’t say that. ;] And, you could have them reproduce it in whatever scale would work for your room. And then, change the background color. I mean, you’re not selling it. And they did dare to discontinue it. 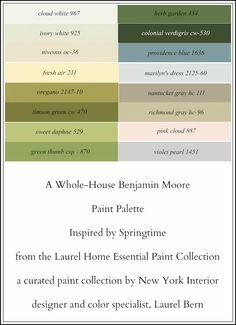 Hunter Green, one of the Laurel Home paint collection colors that might work if you room is fairly bright. If you’d like something else, one of these darker greens would probably work. Okay, we better focus on the furniture or I will not be going to sleep tonight! The furniture is in a British Colonial East Indies style. That means that most of the wood is mahogany and/or a fairly dark stain. But, that doesn’t mean that we can’t throw in a painted piece and definitely need some gold accents. Above and below are two other Ralph Lauren spaces to give you more of an idea of what I’m talking about. Most of Ralph’s rooms have this influence. Now, EVERYTHING is low compared to Ralph Lauren when it comes to upholstery and tables. But there’s low and there’s looooooow. As you can see, Ralph used the NUMBER ONE sofa that’s an enduring classic. The English roll arm in a white fabric. Definitely, it can be a performance fabric or even a slipcovered sofa. Remember the pretty one in this post that’s super inexpensive? And then, there’s an entire post of inexpensive sofas and chairs. That’s one of my favorite posts. Next up in price, is the Carlisle series of sofas and chairs from Pottery Barn. In case you don’t know, PBs upholstery is ALL made in the USA now, so the quality is much better than the PB of yore. Here, you’ll also find lots of customization possibilities with fabric as well as a feather down insert option. And, for a made-to-order custom sofa, the prices are very reasonable. However, if you have a little more to spend, I would definitely go with a Serena and Lily sofa and chair. One of the Miramar sofas, if you want a beautiful English roll arm style. They are made by Lee Industries. S & L is having a sale right now and there’s one promo code on their site that’s only good for about 2 more days. And there’s another S&L promo code on the hot sales page that is only good through the 29th. But, both will give 20% off which is a good deal. Also check out the hot sales rug page for some great rugs. And, Overstock (big sale going on there, too) is a great source for rugs. And they have lots of natural fiber rugs. But, so does One King’s Lane and I believe your promo code works for most of them. One last thing I want to point out are the sconces. It is difficult to find these sconces, at least for a reasonable price. I love the ones that Furlow Gatewood, John Rosselli and Bunny Williams use in a lot of their projects. You can usually find them at First Dibs. These are around $2,275 for the pair. Below is a High-Low Ralph Lauren widget inspired by the room with the wonderful Chinoiserie walls. Many of the items are currently on sale. And most things are relatively inexpensive or at least are moderately priced. You can click on any of the images for more info. Please look also in all of the hot sales widgets for other items in the manner of Ralph Lauren. Hope that you enjoyed the high-low Ralph Lauren ideas and info. below is a graphic to pin to your pinterest boards for reference. I do know of Griffin & Wong and featured them in this post from over five years ago! Thank you too, for the information. There are a lot of sources for Chinoiserie wallpaper which I think I linked to. One of course, is Mural Sources. It’s not hand-printed, but the quality is beyond superb. So clear, and the colors. Plus the paper feels and looks like silk. Another hand-painted source that I’ve seen for YEARS but know nothing about first or secondhand is YR Mural. However, since they’ve been in business for quite a while, I imagine that they’re doing something right. Actually, Laurel, I do like the wall treatment, and I was not implying that it’s less beautiful than the Mark Sikes wallpaper. I agree with your remark about lots of interruptions and architectural features, and about restraint. I think the scheme would be lovely, but if you’re hooked on decorating, your ideas might move on too fast for the “investment” in this — and the discipline required to make it work. Thanks so much Melissa. I don’t know if you realize that those are the real-deal antique sconces and thus do have greater value. Still, I think that price is a little high like everything on First Dibs. And the other thing is, I have not seen any reproductions of that type of sconce. Alas, not at Ball and Ball either, unless I missed it. My favorite source for lighting of this nature is also one of my favorite < a href=”https://laurelberninteriors.com/laurels-rolodex/” rel=”noopener” target=”_blank”>Laurel’s Rolodex sources which I’ve used dozens of times, is Authentic Designs, located in West Rupert, VT. It’s a family business and they are absolutely fabulous to work with. Can’t recommend them highly enough. I’m smiling because there are so many! And, it wouldn’t be prudent to blindly recommend specific colors. That’s because I could throw one out and it might be a terrible choice for you. There are a lot of posts here which suggest some beautiful deep blues. Maybe if you do a search for dark blue or navy, you’ll find them. There’s a little box in the side bar. Laurel I LOVE this post! Ralph is my fave home designer ever, i always keep him in mind when trying to decorate. Have you been to his polo bar in the city? Omg it’s gorgeous!!! so we went with the Pearce roll arm, he let me pick the fabric at least (white sunbrella). I was super super anti PB until I happened to watch one of their videos and learned all their furniture is made here in North Carolina. Yeah!! Another high-low RL option: Pb Caden equestrian ottoman— gives that RL feel and is priced at $1,100 but has 25% off this month. If you’re really desperate to get this room, I think painting the walls, using about 4-6 stencils (and not huge ones), could do the trick. Paint the wall an ivory white, cut the stencils with extreme care, in order to use the cut-outs as well as the stencils. Working in panels, arrange the stencil cutouts, fix with spray adhesive, paint the walls the dark green. Remove the cut-outs. Go on to the next panel. Leave it all to dry. Then go over the whole lot, this time positioning the stencils, and paint with the ivory and then pale grey shadows on the flowers etc freehand. Bingo! But before you invest time and effort in this, a few remarks. The original room works because the walls are the only patterned surface in the place. Notice: no cushions! 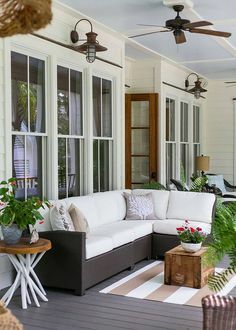 You also need a hot climate, large windows with outside slatted shutters and the British-in-India furniture, all white upholstery, appropriate accessories and not very many of them. And no tweaking by adding stuff later — when it’s done it’s done, finished. I gather that you’re not too fond of this wall treatment. :] I think for it to be successful, it needs lots of interruptions with windows and other architectural features. 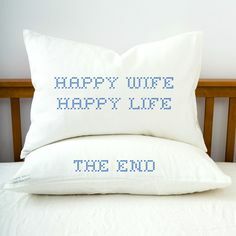 And yes, you’re right no pillows. That’s another thing that’s special about this room. Restraint. I think that’s probably one of the most difficult things to achieve. Darryl Carter is a master at restraint.